International award winning photographer, Wendy Spinelli, creates children and family fine art to bring warmth, beauty, and joy to your heart and home. Expertly Retouched photographic look for the contemporary home. Hand Painted by our artist to give your art an old world look. Trust us. You want to make this portrait special - and nothing feels more special then dressing for the occasion. Dress as if you were going out to a fine restaurant, wedding, or formal ball. Everyone should wear the same or similar colors. Color unifies everyone and creates a greater sense of harmony. Muted tones work best whereas bright tones distract from the mood of the portrait and faces of individuals. Men - tuxedo or suit and tie. If you have facial hair, make sure it is groomed appropriately. Ladies - muted toned dress or gown with little or no patterns. Classic jewelry such as diamonds or pearls are encouraged. Hair, make up, and nails are expected to be in good order and professional hair and make up is highly recommended but not required. Very short hemlines and heavy skin exposure will distract from your face and date your portrait quickly due to trendy fashions. Young Girls - Dark or muted solid dresses. Light pinks, cream, or off white are also acceptable for younger girls, about 5 and younger. Young Boys - Same as men or a button up solid colored (white will be most timeless) shirt with tie and dress pants. A solid colored sweater is acceptable as well. Lighter colors are acceptable for younger boys about 5 or younger. 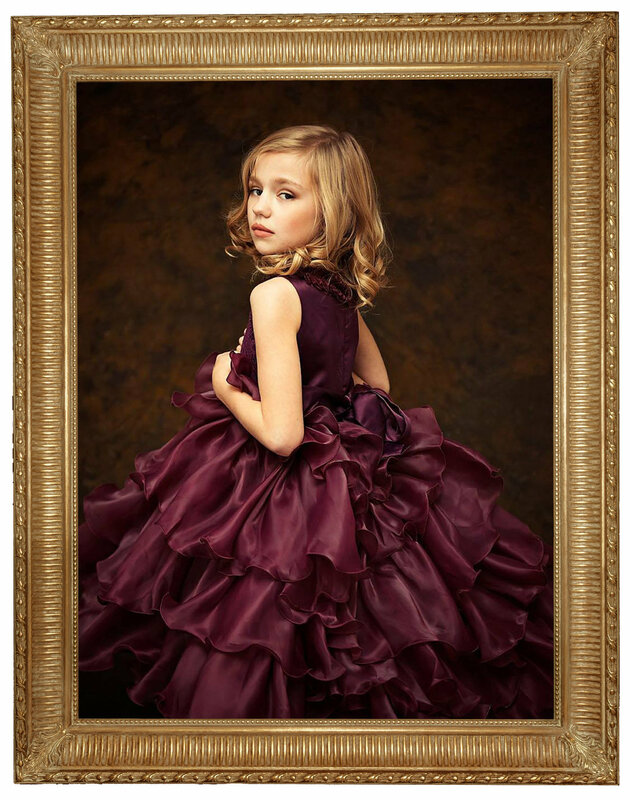 Ballet, equestrian, and musical instruments are also encouraged for your portrait. Sessions are held at the Historical Davenport Hotel monthly. A credit card is required to reserve your spot but will only be charged a $100 if there is a no show to your appointment time.